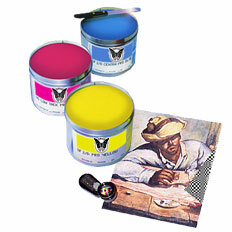 Zipset GPX was designed for high-quality, multi-color, offset print production. Its highly pigment strength (+6%) provides strong color density and excellent print mileage. Duct fresh characteristics offers superior work flexibility and reduced production downtime. Its rapid setting and drying capability allow for quick work and turn and after processes. Exceptional ink trapping provides quick and accurate color make readies, along with remarkably high-gloss levels.